The shrinking working-age population will impact growth and affect pensions. Promoting entrepreneurship, education, and female labour force participation can buffer this demographic change. Below are some of the recent developments highlighted in the report: Sri Lanka’s debt portfolio carries significant risks. 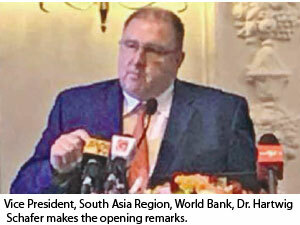 At an estimated 83 percent of its Gross Domestic Product, Sri Lanka’s central government debt level is high. As the country approached upper middle-income status, it has been borrowing on more commercial terms with increased cost and risk. Despite the fast poverty reduction, there remain areas with significant poverty Over the past two decades, Sri Lanka’s economy expanded at a rapid pace and the country has done much to address extreme poverty with a decline from 15.4 percent in 2013 to 9.7 percent in 2016, as measured against the World Bank’s international poverty line of $3.20 per day for lower middle-income countries. Measures, such as the expansion of the Samurdhi programme in 2015, offered dividends although better targeting of social assistance would have resulted in larger gains. However, it is vital to note that a large number of people remain just a small shock away from falling back into poverty, says the report, noting that adverse weather conditions have become increasingly influential in recent years. 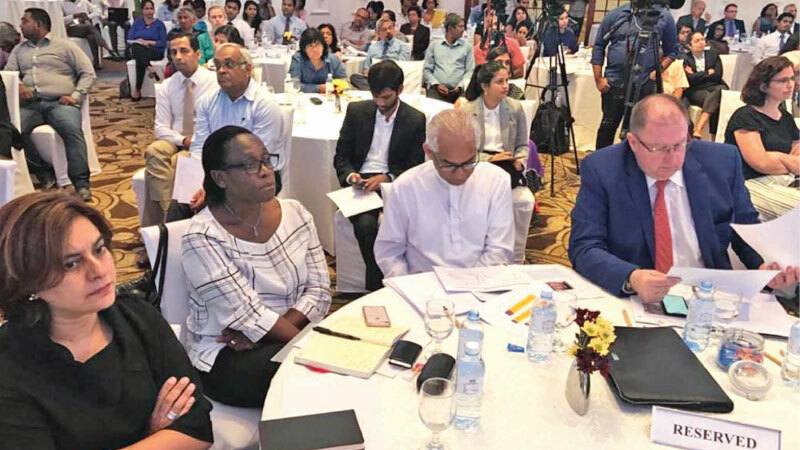 Like many other countries in the world, Sri Lanka is staring down a dramatic demographic shift - Sri Lanka’s share of working-age population peaked in 2005 and it is expected to gradually decline over time. This has implications for labor supply, service delivery in sectors such as health and education, and of course for pensions, employment and public finances overall. A particular concern is the limited savings and instructional support mechanisms in place to support this rapidly expanding elderly population. Increasing costs mean that programs such as the Public Servants Pension Scheme (PSPS) could struggle to deliver on their benefit promises over the long run, while the EPF – the employer-based defined contribution saving scheme for formal private sector workers – appears inadequate to meet the costs associated with over two decades of retirement.